In your WordPress dashboard, go to the right sidebar and hover over the posts tab, then hover can click on “add new” in the dropdown menu. You will be taken to the composer window. Enter in a title, and then click on on “use default editor”. Start writing your article in the composer section. How do I make my articles more visually interesting? In the right sidebar, there are multiple tabs you can use to edit how the article looks when published. We will just go over the essential ones here in this tutorial. The first being categories. This controls what section your article will appear on the website. Ask your section editor what is the appropriate category for your article and select that. In the right sidebar, there is a tab called “featured image” Place your 16:9 aspect ratio photo here. In the right sidebar, there is a a tab called “Excerpt” this controls how many words are shown, in the article preview on the site section your article appears in. In order to make the preview as small as possible and increase the chances of getting clicks to your article, copy and paste the lead of your article and past it into the excerpt text box. Scroll down until you see the Yeost SEO widget. Fill out the form fields to reflect what the article will look like in a search engine like Google. While filling up the meta description make sure the progress bar turns green. We suggest you copy and paste the lead again and extend any acronyms to their unpackaged form (for example, “UVU” for “Utah Valley University”). This is to make it easier for Google to catalog your article based on intended entries. Once you feel like you place all the content into the composer, click on the “preview” button on the top right of the page to see how your article looks like in the wild. Once you feel good about and your editor approves it, click publish and share your work! Prepping images for the web is extremely different than preparing for print. In print, you are trying to get the resolution as high a possible, on the web, it is a game of making sure you make the file size as small as possible without hurting the quality of the photo. The larger your image files, the slower it takes for your article to load, that means less people will read your articles! A general goal to strive for is keeping your photos under 2MB, ideally under 1MB. If you want to get the best picture and still have your article load fast, Don’t think in TIFF format, think in JPEG. Look at this recent photo put online. It’s HUGE! 23MB. The first step is identifying the problem, 23MB is a lot of space, this will bog down your article. We are going to try and get it under 2MB. There are plenty of ways to do it in photoshop, where you can have highly customizable controls to get the most out of your media. But you don’t have to be a digital media expert to do this! Luckily, WordPress’s latest update has made it really easy to edit images on the platform. It is “good enough” for our purposes. When you are in the WordPress composer, you can place an image in the article using the image button. With the image in the article, you select the image and a properties editor opens up in the right sidebar. Here you just need to make sure that the pixel ratio is not below 400px in size so you can still see the image. WordPress will then reduce the pixels in the image and reduce the size as well. On our website, we use WordPress’s Gutenberg editor. This allows you to move content like blocks in your articles, and make cool layouts like this. This gives you way more creative control over how your articles look and give you an opportunity to partner with designers to create well-designed articles. 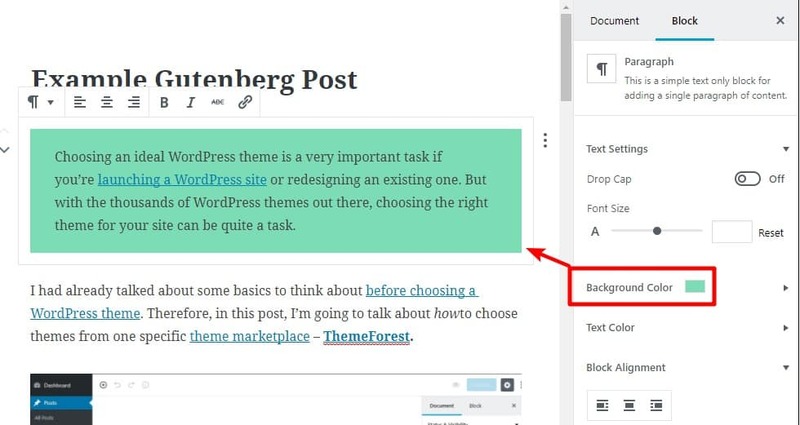 Here are a few things that can be done with Gutenberg. When you are in the WordPress composer, select the featured image. You will get a pop up from the media library. With the desired photo selected go to the right sidebar and type in you image caption. When you are done, press the “select” button and then press the “update” button on the WordPress composer. A caption should show up under your image. How do I get certified in digital marketing? Do you know about the cool multimedia stories in the Immersive News section? If you want to leverage that as a storytelling method, this section is for you! We use a WordPress theme called Divi to edit the visuals on our site. It’s a what you see is what you get (WYSIWYG) builder so you can have layout control for your pages. Here are the links to the tutorials if you want to use the Divi editor to edit your articles using the Divi builder. Where can I learn everything there is to know about Divi? Where can I learn more about Mailchimp? Option One: How does Mailchimp Create Opt-In Forms?